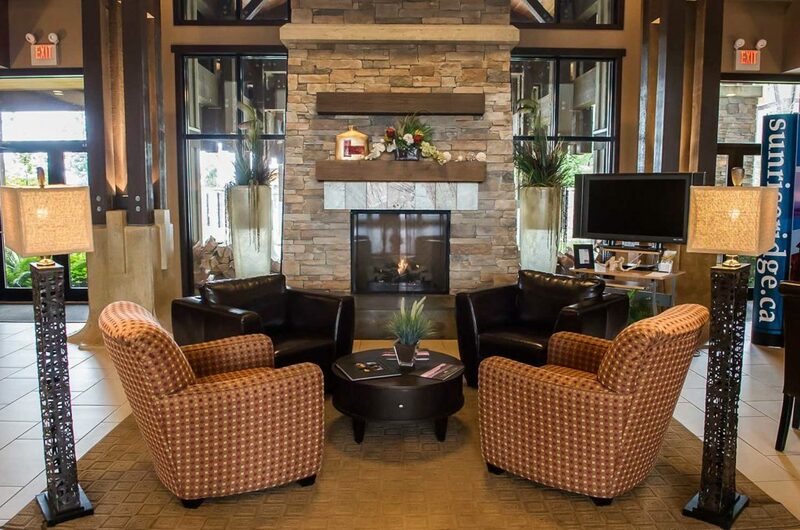 We have a number of resort amenities that will help to make your stay a memorable one. 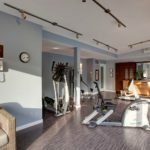 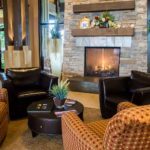 Sunrise Ridge truly has something for everyone! 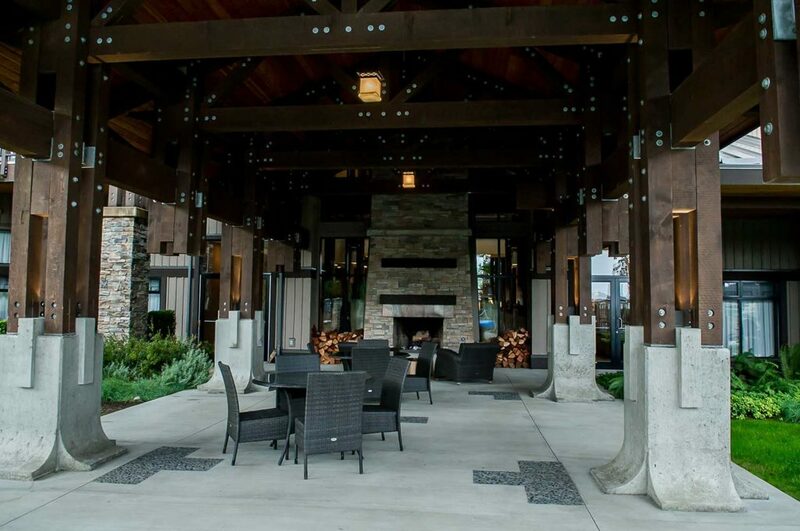 Sunrise Ridge Waterfront Resort offers many amenities to owners and guests to make your stay that much more enjoyable. 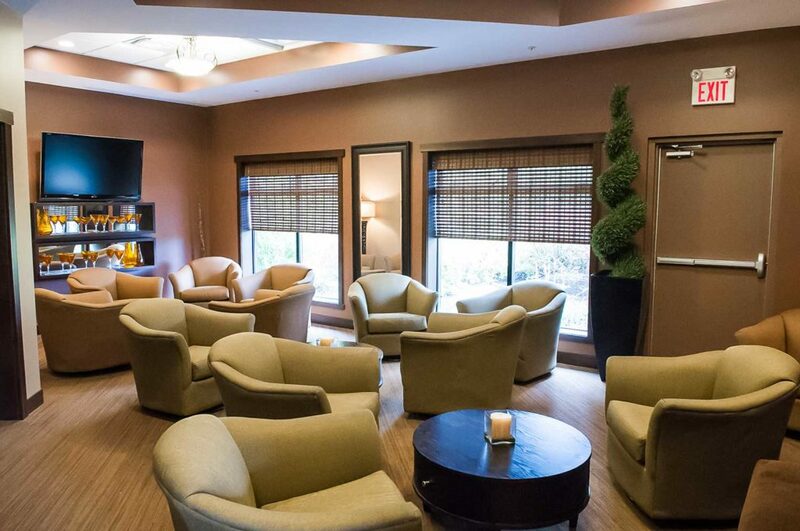 Take advantage of our Owners Lounge and Meeting Room facilities. 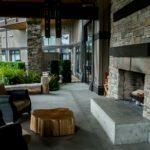 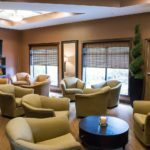 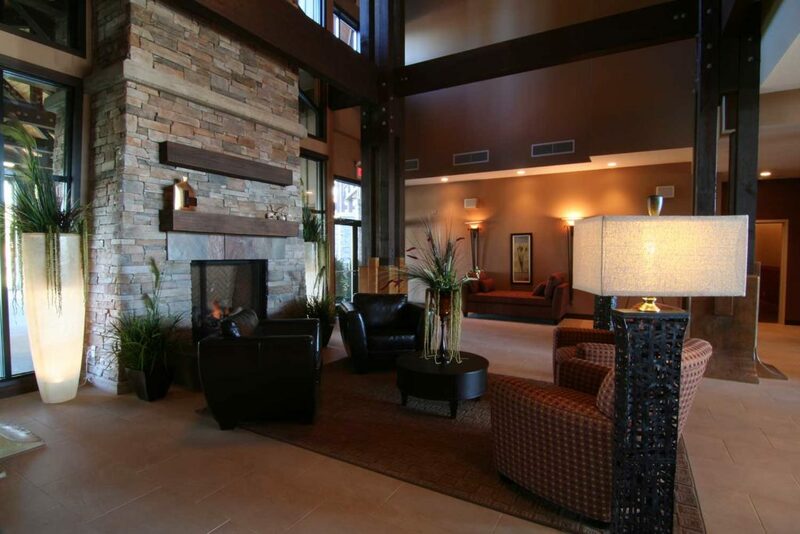 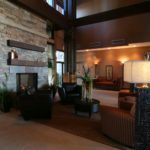 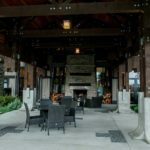 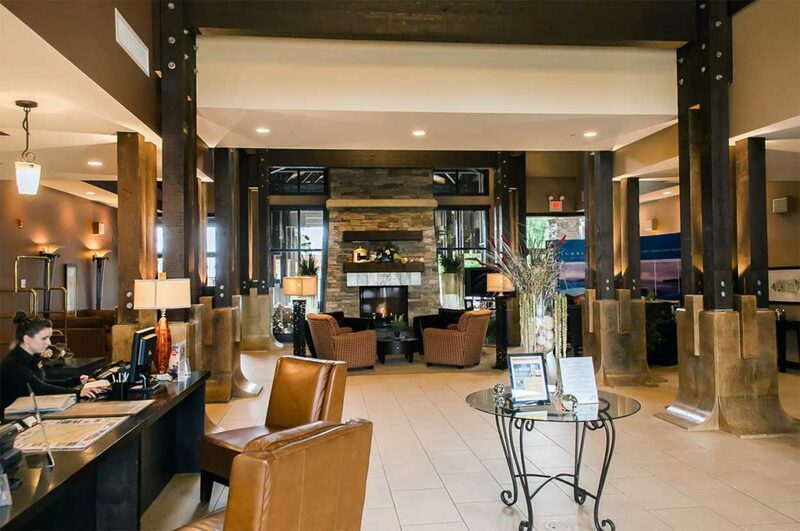 In addition to the sitting areas for gatherings, the Lobby is a comfortable place to relax beside the unique fireplace that warms both the in and out doors. 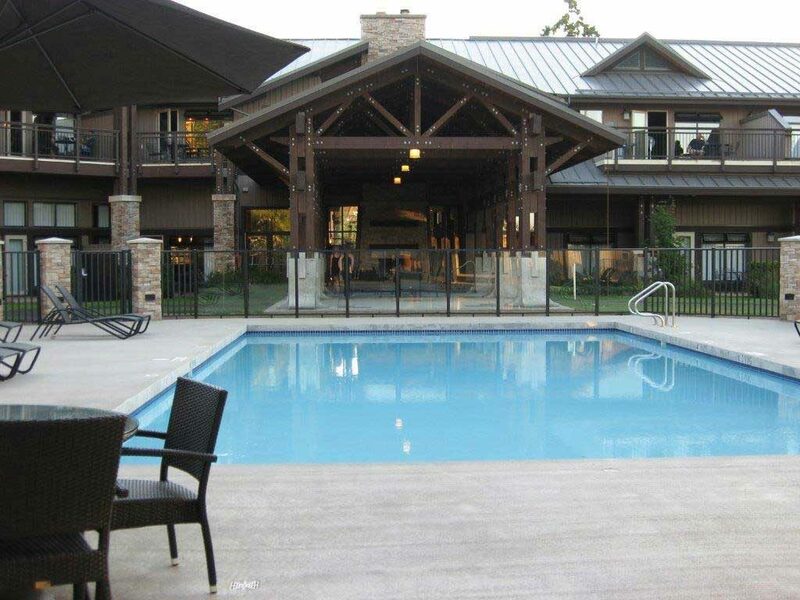 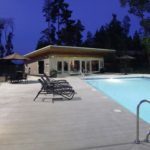 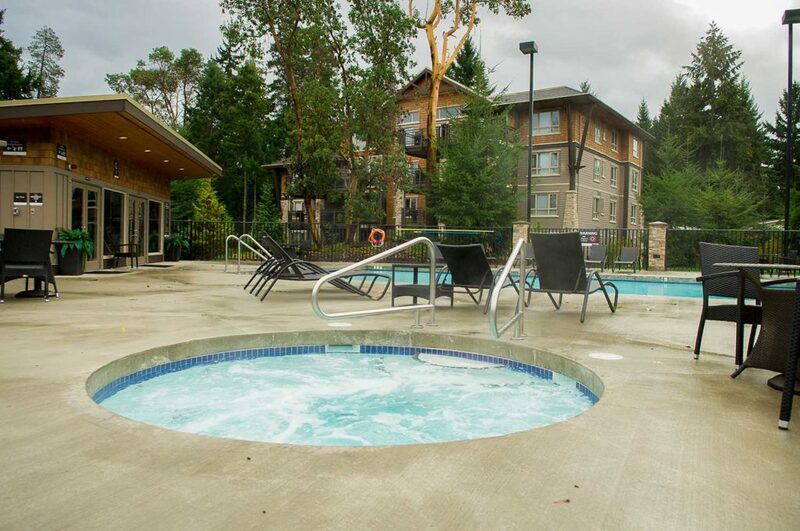 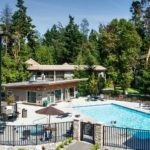 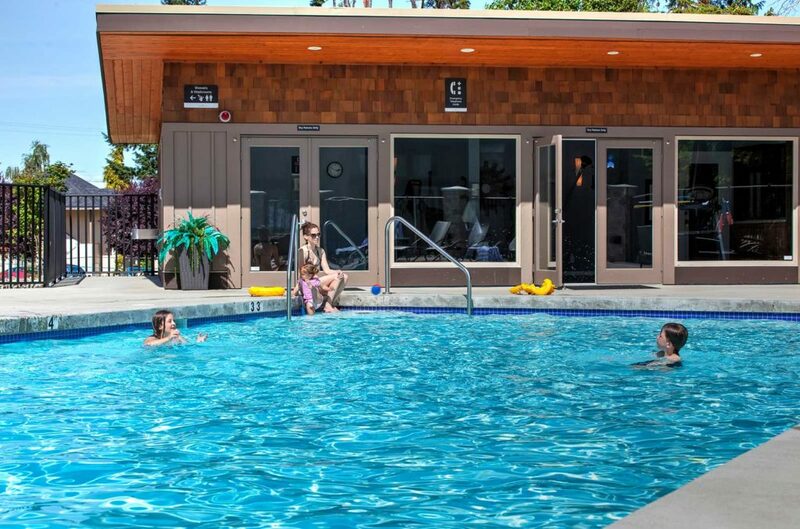 Our outdoor pool & hot tub are a perfect way to relax and unwind after a great workout, hike or bike ride. 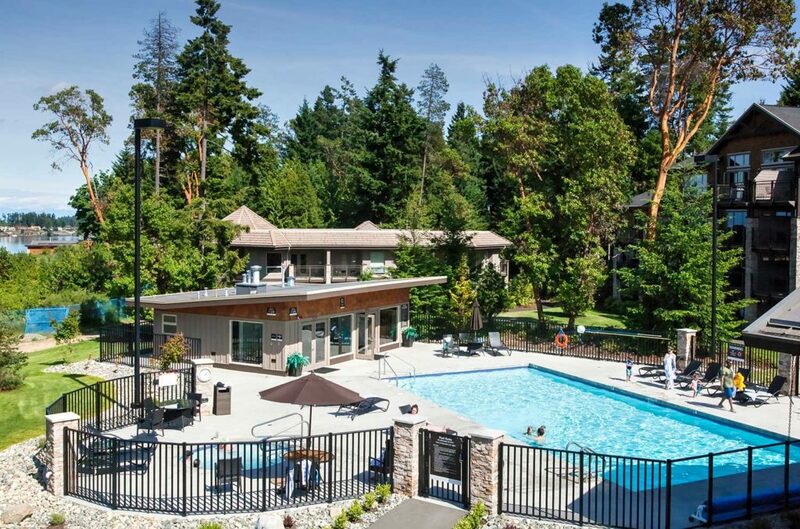 The seasonal pool is open daily, from May 1st to October 31st, and has showers and change rooms available for guests. 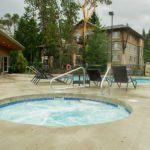 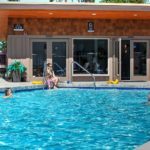 The seasonal hot tub is located in the pool area and is open February 1st to October 31st. 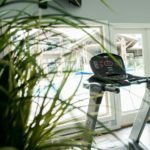 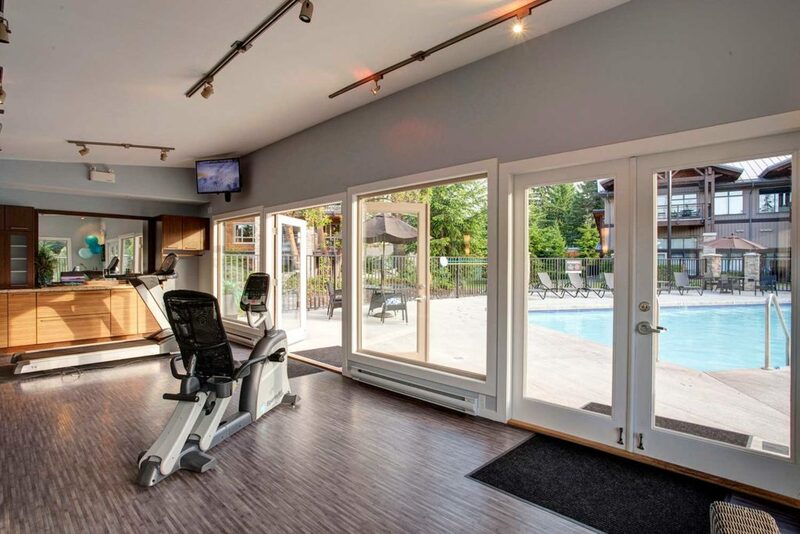 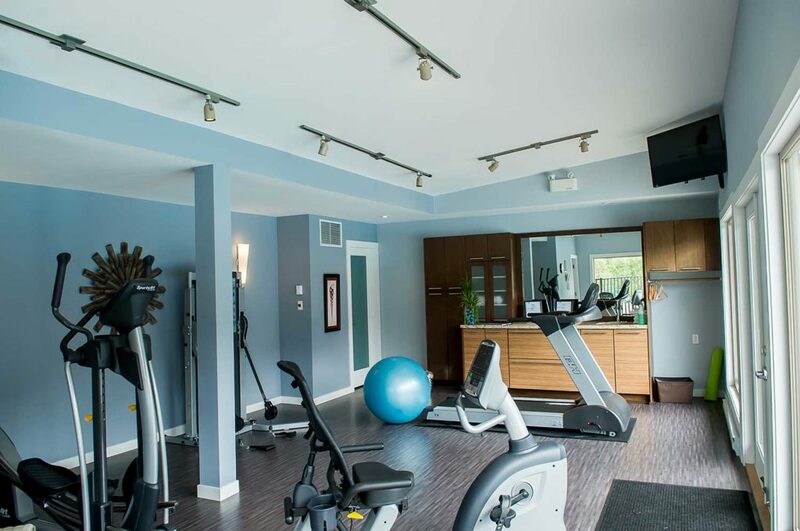 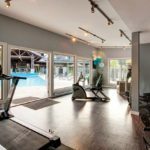 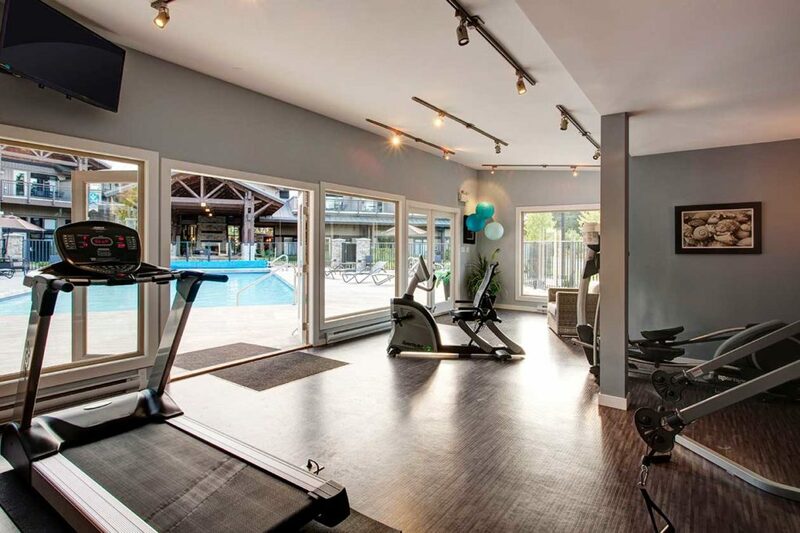 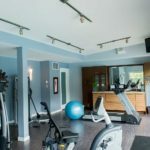 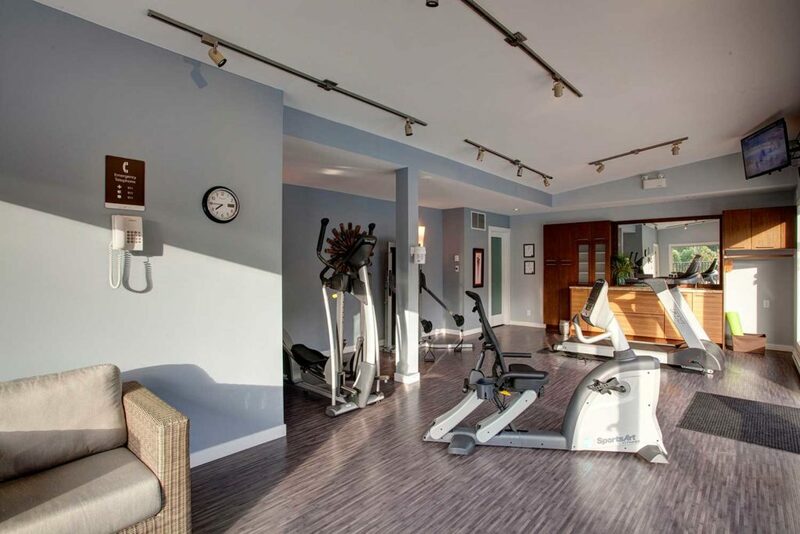 Our fitness facility is located in the building beside our pool. 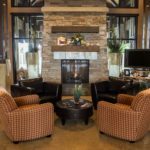 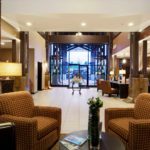 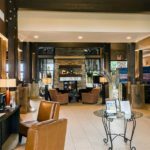 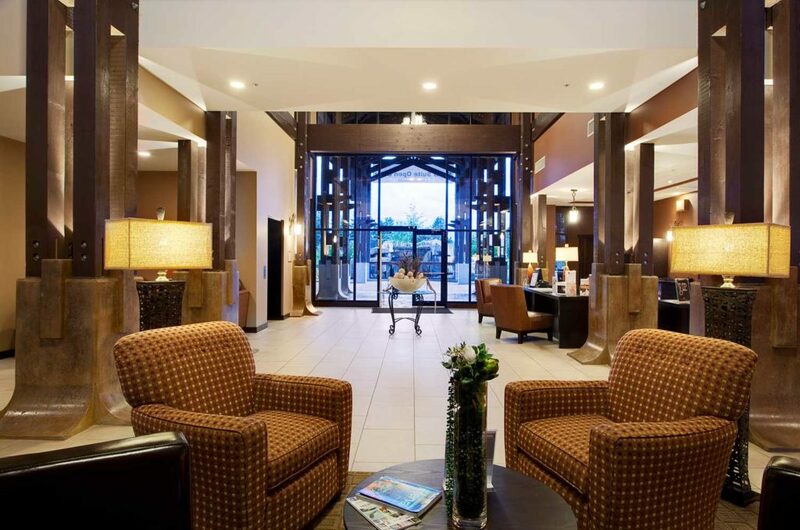 The Resort features an exceptional meeting facility with room for up to 70 people and includes internet service, dining options, kitchen, comfortable seating, and much more. 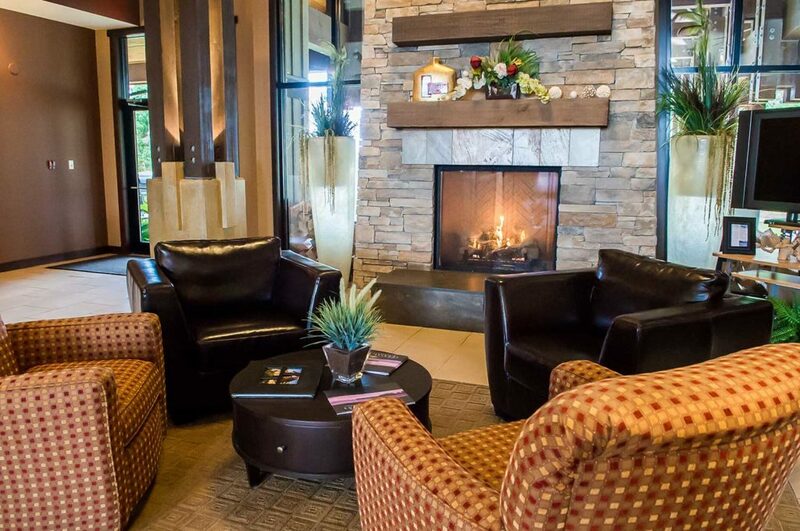 Enjoy a coffee or tea and relax in the Resort’s comfy lounge area while reading the morning’s newspaper. 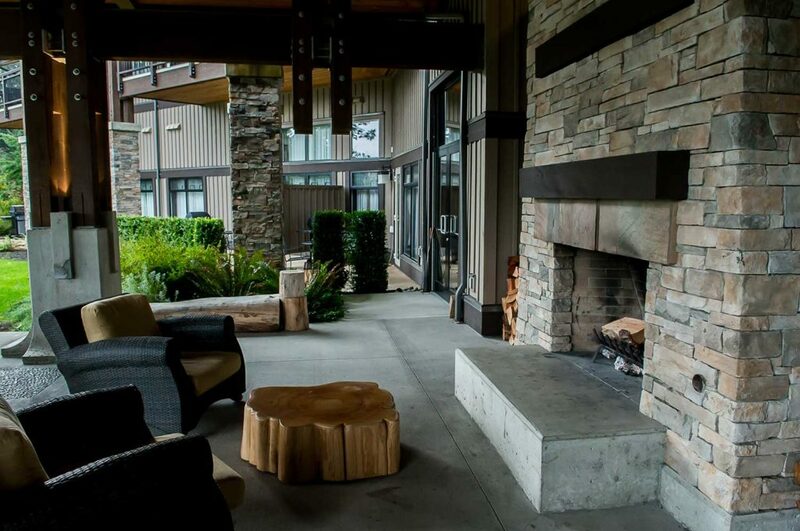 Gather the family on the Resort’s outdoor patio with large fireplace, cozy chairs, and just steps away from your condo. 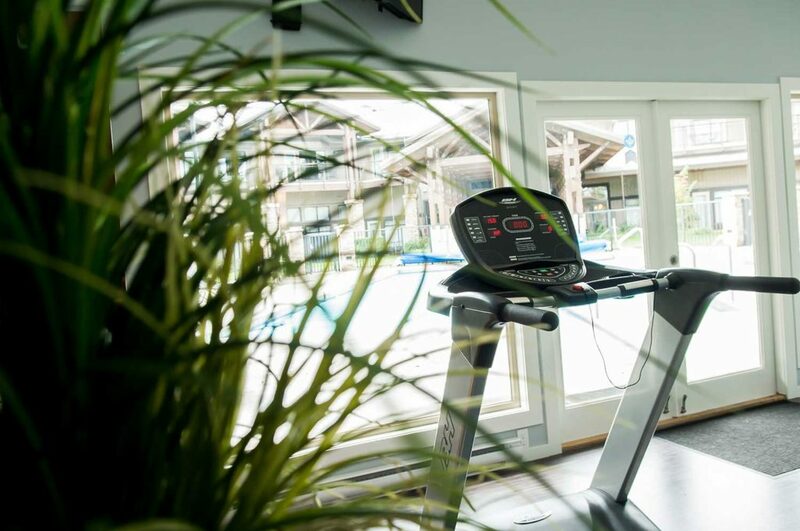 The Residences at Sunrise Ridge Resort is designed to provide exceptional livability that they seem even more spacious than the actual square footage. 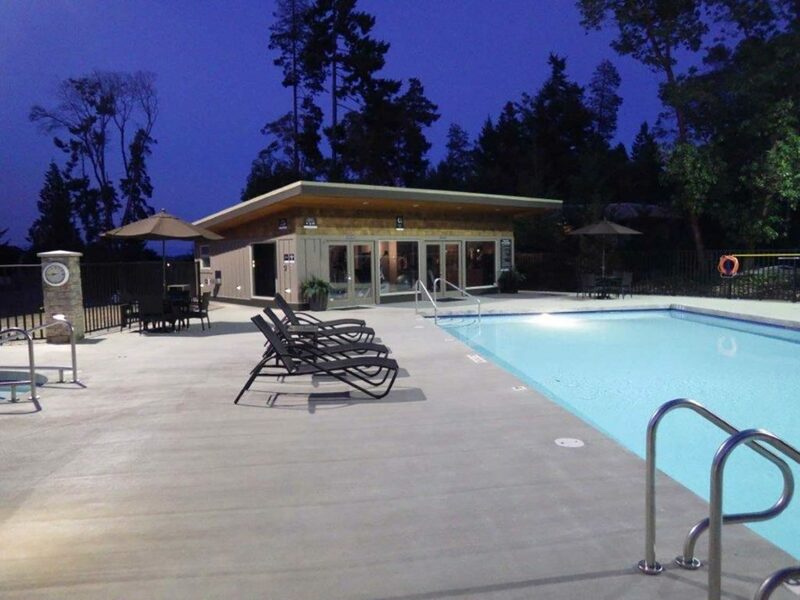 Smart planning maximizes every square foot in these comfortable vacation homes.